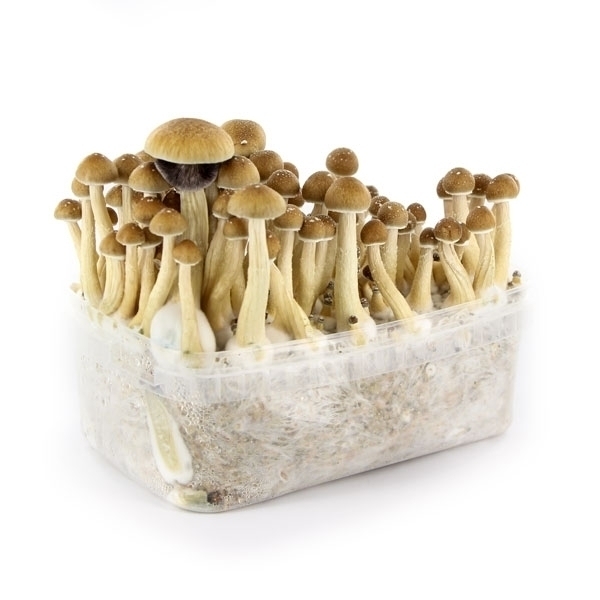 La Psilocybe Cubensis Cambodian es la variedad ideal de seta mágica para el cultivador inexperto – esta especie es muy fácil de cultivar y produce una cosecha relativamente predecible. Esta cepa ha sido descubierta cerca del espectacular templo de Angkor Wat, pero ya puedes cultivar tus propias setas Khmer en casa. Estos kits 100% mycelium están llenos de 1200ml de substrato 100% inoculado de esporas y listo para el cultivo cuando llegan a tu puerta (si no quieres cultivar inmediatamente, mételos en el frigo a 4°C). Sigue las instrucciones del manual y tras unos pocos días podrás ver aparecer los primeros brotes – trata de mantener la temperatura ambiente a 24-25°C (constante) y podrás cosechar en solo 9-10 días (o si no quieres tener la caldera encendida todo el tiempo, utiliza una almohadilla térmica). Estos kits producen al menos 5 cosechas. After reading the comment i would to add the alchemical technique . Dont open the box when U receive them but keep them in your bed room for 2 or 3 days . The micelluim will get closer to your personality before growing . Dont add tap water but the cleanest possible that U generally find in bio stores . Recreate a natural environment if your have a heater it would be nice . At the end of the day put the heater on and light a 220 v classsic ampoule or a blue ampoule wich is better to create a sun set effect .Keep the light direct on the box for around 1 hour then undirect to the box for 1 more hour . Spray the water at night . Result is a full flush 10 days after the date of reception . Always listen to the shrooms They will tell U what they need or what is bothering them .Also i let the first flush open and spread their spores If U have an electro magnetique pulse mat it will speed up the growth and the mushrooms are bigger . If U have a heat mat change the temperature according to the periods of the days . And finally after the flush is over dont let the shrooms soak into water in their box for more than one day . I ordered the grow kit and it was here within two day! I opened it up and it started doing it's thing. Took about a half week for the mushrooms to getting to a good size. The end product was amazing . Some of the mushroom were gain this was the best part . Will be buying another one for Christmas . Os mostramos cómo usar el kit de cultivo de setas mágicas Supa Gro 100%. Este magnífico grow kit contiene micelio puro de Supa Gro 100% y te proporcionará múltiples tandas de radiantes setas cubensis. Con hasta 6 tandas por kit y 600-900 gramos por cosecha, este sencillo kit es imbatible. No necesita más que unas manos limpias o unos guantes, un mínimo chorro de agua de vez en cuando y un sitio calentito donde crecer. Este divertido hongo es pan comido! Diseñada para conservar la temperatura óptima de los kits de cultivo de setas alucinógenas, esta esterilla electrónica ayuda a garantizar el éxito. Comprueba cómo se usa y cómo rinde en comparación con cultivos en los que no se utiliza.